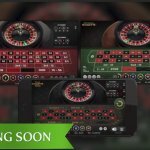 While many will think an online casino is all about table games like Roulette and Blackjack or video slots, I can assure you this is not the case as the Netent Casinos have a lot more to offer. 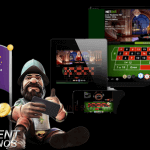 Besides popular categories such as table games, video pokers and video slots, there is another category you should not forget about when visiting a Netent Casino. It’s the category ‘other games’ including games such as Bingo and Golden Derby. The third game in this category is Bonus Keno, a casino game equal to Bingo, but with some significant differences as Bonus Keno gives you the opportunity to choose your own lucky numbers. While playing Bingo numbers are generated automatically meaning you’ll have no influence in the game at all. Playing Bonus Keno on the other hand, let’s you pick ten numbers by yourself of which you think they can bring you luck, not only when it comes to regular wins, but also regarding the progressive Keno Jackpot. Just as usual you have to buy a Keno ticket before you can start to play this game, but a ticket doesn’t cost you big bucks as you already have a ticket for just 1.00, available in a multitude of different currencies depending on the Netent Casino you choose to play. 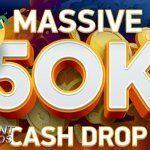 To increase your winnings you can also choose to buy yourself a ticket more expensive as ticket prices can go up to 5.00. The game in general is very easy which means no difficult game rules involved. After you’ve bought a ticket the game begins by you choosing your lucky ten numbers. Picked a wrong number, you just click the number once more to undo the pick and choose the right number. Click ‘auto pick’ if you want to save time and 10 numbers will get generated automatically as it’s the case with Bingo. When you click ‘GO’, 20 numbers will fall randomly and after you’ll recognise your winning numbers easily as they got marked by an orange circle. The more numbers have been circled, the higher your winnings will be as three numbers are already enough to win a nice amount. 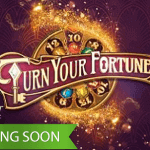 The maximum win when playing with a 1.00 tickets will be 10.000, while a 5.00 ticket will award a maximum prize of 50.000 when all your lucky numbers are marked by an orange circle. While numbers fall randomly it’s possible a Joker pops out one of your chosen numbers. Not only will this number be marked as a winning number, it also adds to the bonus feature. This bonus game can be activated when five jokers popped out of the numbers and the word Bonus coloured orange resulting in one free game. Additionally Bonus Keno also offers a progressive jackpot resulting in another good chance to win big. 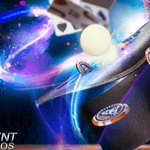 Of all tickets bought at the Netent Casino you are playing, as we are talking about a local jackpot, a small percentage goes into the Keno Jackpot. The only way to win this jackpot is by playing Bonus Keno with real money, but even a 1.00 ticket will do. To win the progressive Keno Jackpot the letter J is having a big role as the jackpot will be yours when all drawn numbers will form the letter J.